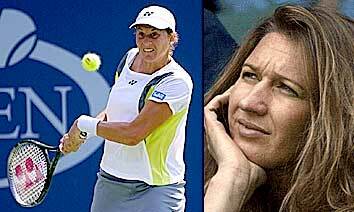 If there was a tennis match with more historical significance and human drama than the 1995 US Open final between embittered rivals Steffi Graf and Monica Seles, it did not occur in women’s tennis during the Open era. The WTA has boasted at least 25 fantastic high-level, well-played contests between significant players since 1968, but none matched the raw emotion or electricity of the Graf-Seles Battle Royal. It was possibly the one match in the Open Era that at the time appeared to determine who the greatest player of all time would be. 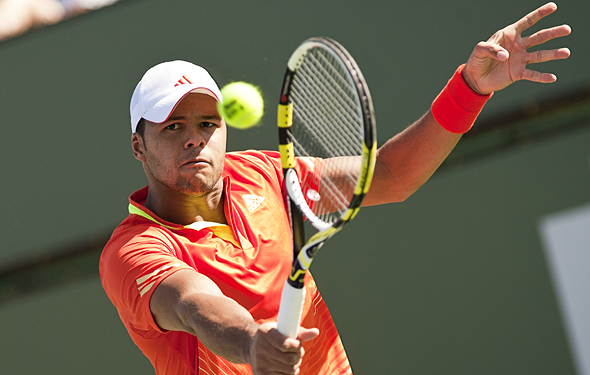 Take a look at a sample issue of the new Tennis Journal! 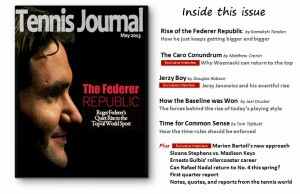 Articles on Federer, Wozniacki Stephens & Keys, Janowicz, trends and much, much more. 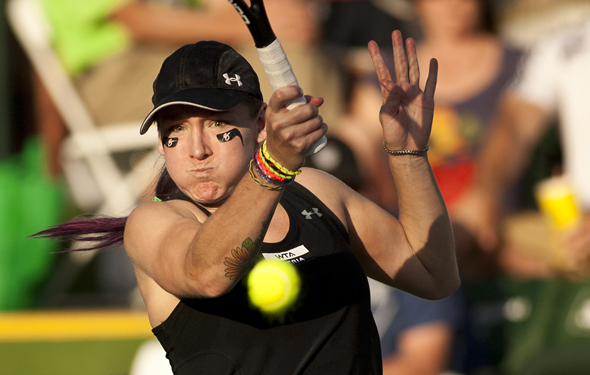 For a large portion of 2012, Bethanie Mattek- Sands had become the forgotten woman of US tennis. Struggling with injuries and food allergies she saw her ranking drop out of the top 200. But she never gave up hope, found out which food groups were bothering her, changed her diet, let her body heal and now after knocking out Sabine Lisicki 6-4 6-2 in the semis of Stuttgart, her first Premier level semifinal in more than two years, she back in the mix again. She was a match point down to Maryna Zanevska in the qualifying and got through. She then belted Yanina Wickmayer, stunned Sara Errani on her beloved red clay and then overwhelmed Lisicki. She is moving very well, attacking intelligently, mixing it up, leaping on returns and owning the net. 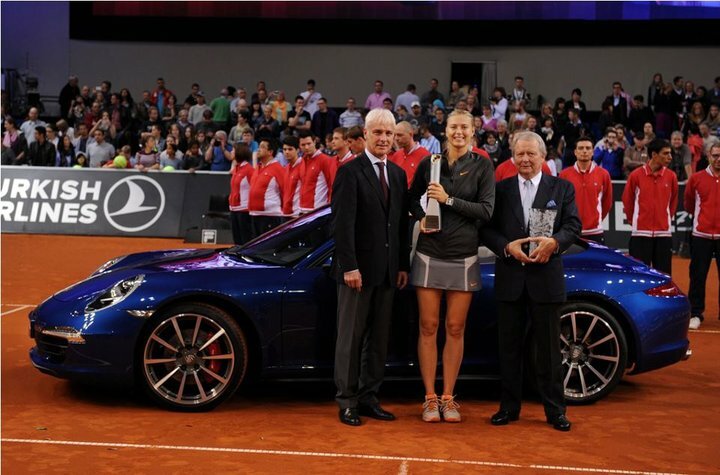 All the good work she has done in doubles this year (with Sania Mirza) and during others has paid off. The 200 points she has already earned should get her back in the top 80 by next week. She has already made the main draw of Roland Garros, which will save her from having to qualify for another Slam, but more importantly the 28-year-old now can see all the results of all of her hard work, and all the massive amount of time that she and her husband Justin have spent on the road trying to get back to respectability in singles. In the past year, outside of Serena, the talk in the US has been about the late rise of Varvara Lepchenko and the progress of the kids: Stephens, McHale, Keys, Davis etc. Now the mid-to-late career Mattek is worth talking about just as much and given what a terrific personality she is, that development is very good news for the game. Mattek will face Li Na, who edged Petra Kvitova in two tough sets. Maria Sharapova and Ana Ivanovic have contested some very good matches over the years but their quarterfinal in Stuttgart was a cracker. Sharapova took the very hard fought and well played match 7-5 4-6 6-4 but Ivanovic did have her chances and with her two quality wins in Fed Cup and two more in Stuttgart she might be considered a top 5 favorite for Roland Garros if she keeps playing this well. Her serve seems to be under control, she is moving very well, cracking her forehand as always and has much more confidence at net. With that said, –and she knows this as she apparently smashed her racket in the locker room after the match — she needs to get wins over the super elite if she is to be a major factor at the Slams again. A NEW TENNIS MAGAZINE HAS ARRIVED! Written by some of the foremost tennis writers including TR’s own Matt Cronin, Doug Robson, Joel Drucker, Tom Tebbutt, Kamakshi Tandon and Richard Osborn, Tennis Journal is here. Read about why Federer is the world’s top athlete, why Wozniacki can win a Slam, an exclusive with Marion Bartoli, why the game has evolved into a baseline one, whether the rules changes are a good thing, a comparison between Stephens and Keys and much, much more. It was going to happen eventually. Rafael Nadal was not going to win every Monte Carlo into eternity, especially if his toughest rival these days, Novak Djokovic, decided to make his adopted hometown a place where he could adopt his hometown tournament. 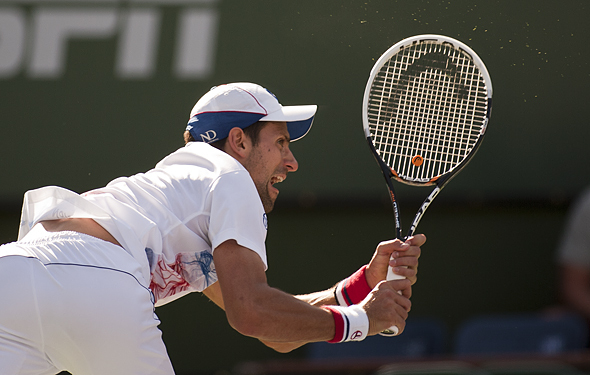 Djokovic pushed himself hard physically to be able to show up and play the event, and despite a very sore ankle, once he got to the final against Nadal, he was brimming with confidence. 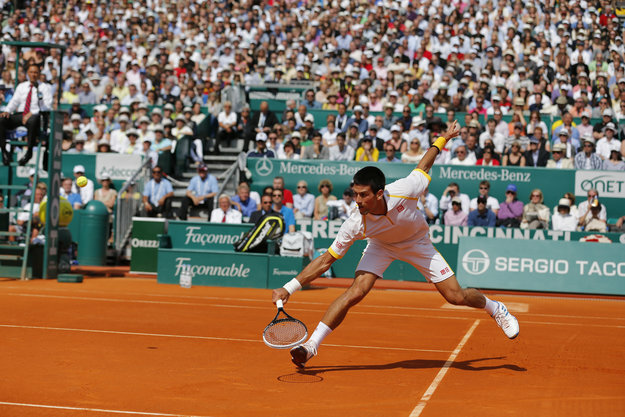 That has not mattered much for the rest of the planet against Nadal on clay, but it sure has for Djokovic who has played Nadal awfully tough everywhere since he became a legendary player in 2011. On this sunny Sunday in Monte Carlo, he was the better player, the fierier competitor, and the man who showed a real ability to close. It has been nearly 11 months since Rafael Nadal and Novak Djokovic last faced off and that was in the final of Roland Garros, a four-set win for the Spaniard but a contest some analysts think Djokovic would have won if not for an overnight rain delay. 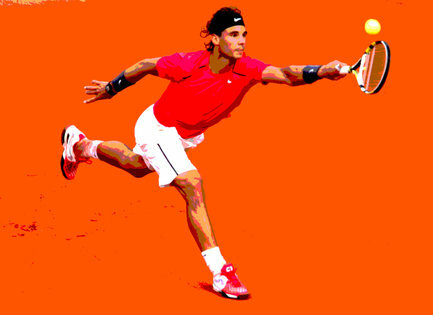 On Sunday they will meet in the final of Monte Carlo, with Nadal coming through a difficult contest against Jo Tsonga and Djokovic cruising against Fabio Fognini in the semis. Djokovic showed little signs of problems with his sore right ankle, while Nadal appears t be moving fine and his left knee has not been a visible problem all week. FROM THE US VS. SERBIA DAVIS CUP TIE IN BOISE, IDAHO — Sam Querrey has enough weapons to hurt most players and perhaps in a year or two when he adds more weight to his backhand he will be able to shut down the likes of No. 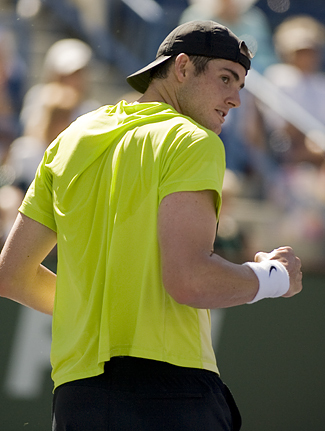 1 Novak Djokovic down in a three-out-of- five-set match. But he does not have the skill or experience to be able to pull that off yet, not even if the world No. 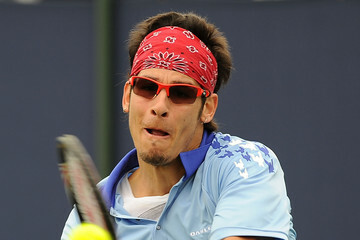 1 was playing on a sprained ankle and especially not when he was dealing a with a right sore pectoral muscle himself. FROM THE US VS SERBIA DAVIS CUP TIE IN BOISE – Late Saturday morning, when it was announced that the obscure Ilija Bozoljac would team up with Nenad Zimonjic in doubles instead of Novak Djokovic, the thought inside the Taco Bell Arena was that Serbian Davis Cup captain Bogdan Obradovic (as well as Djokovic) had pretty much conceded the doubles point to the US and would instead focus on pulling off two singles wins on Sunday.